West Bengal Chief Minister Mamata Banerjee on Saturday, in a written letter, questioned the motive of the ECI to transfer top cops just in time before the Lok Sabha Elections 2019. 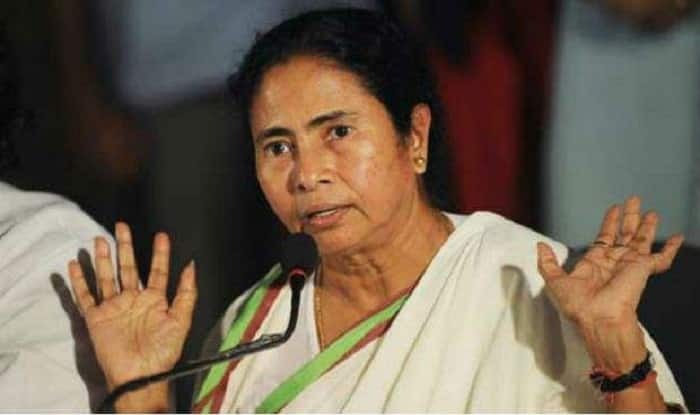 New Delhi: The Election Commission of India (ECI) on Sunday rejected allegations levelled by West Bengal Chief Minister Mamata Banerjee that its order to transfer four police officers was at the behest of ruling Bharatiya Janata Party (BJP) at the Centre. The poll body said that the same was based on ‘cumulative feedback’ from one of its top officials and the special police observer, PTI reported. Claiming that it won’t respond to the averment to prove its image, the Commission told the Trinamool chief that it holds full right to transfer and appoint officers during model code, as per election law. The development came a day after Banerjee, in a written letter, questioned the motive of the ECI to transfer top police officers just in time before the Lok Sabha Elections 2019. Notably, the EC had on Friday transferred two police commissioners namely Anuj Sharma from Kolkata and Gyanwant Singh from Bidhannagar. “It is unfortunate that an exercise carried out by ECI only for the duration of the Model Code of Conduct is being labelled as arbitrary, motivated at the behest of ruling party at the Centre. It would not be correct and dignified to respond to such averments to prove/burnish its credentials,” the letter read. Questioning the sudden transfer of the officers, Banerjee on Saturday termed the EC’s move as ‘biased’ in nature and slammed the poll body for taking an ‘arbitrary’ decision. Interestingly, both the officers were reportedly present at the ‘dharna’ spot of the West Bengal Chief Minister while protesting against the CBI trying to investigate the former Kolkata Police commissioner Rajeev Kumar.